Digital Audiobook Downloads for Less. - AudiobooksNow is an exciting new online audiobook download and streaming service. Customers can download or stream audiobooks from the AudiobooksNow.com website or download them to free Android, Apple, or Nook apps. 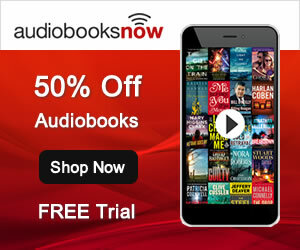 Customers can also take advantage of AudiobooksNow now's unique Club Pricing Plan that provides up to 50% off the retail price (Free Trial). AudiobooksNow is simply the most flexible and convenient digital audiobook service.